The best time of the year is almost here. Some ski resorts across Colorado and Canada are already open and others are beginning to open. It can often be difficult trawling the internet to try and find ski resort opening dates. Here at Ski-Lifts, we thought we’d make it easier for you and we did the work for you. Below is a list of the opening dates for the most popular ski resorts in North America. 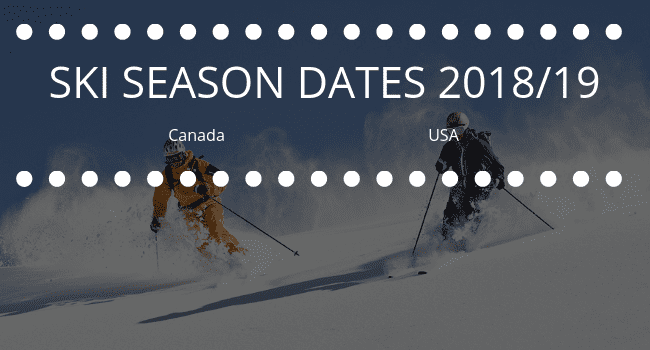 Including; ski season dates in Canada & USA. Just take a look at the list below to find out when the ski season starts in; Canada & USA. It’s never too early to book your next ski holiday, so get your woolly hats and boots at the ready, your flights booked, accommodation arranged, ski equipment hired, ski passes paid for and of course, your airport transfer arranged from airport to ski resort.